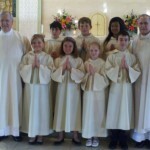 The ministry of Altar Server provides a special opportunity for girls and boys Grade 5 through Grade 8 to assist the other liturgical ministers during Mass and other liturgical services. Boys and girls are invited to consider this important ministry at the altar after prayer and discussion with, and permission of, their parents. 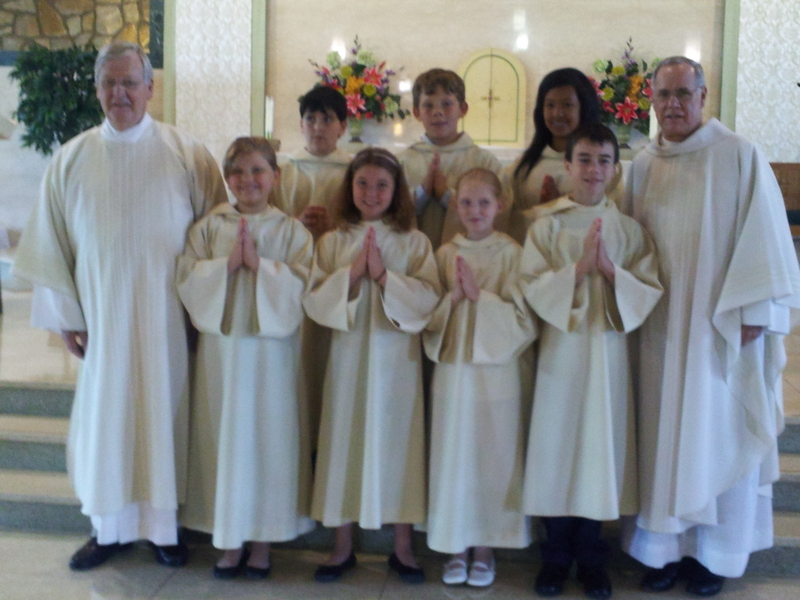 After a period of formation and after a Commissioning Ceremony, they are scheduled to assist at our weekend Masses, funerals, weddings and other special liturgies.